Connect red clamp to positive wire,black clamp to negative wire.please make sure there is enough contact surfaces. Plug into battery hole,please plug into the end. 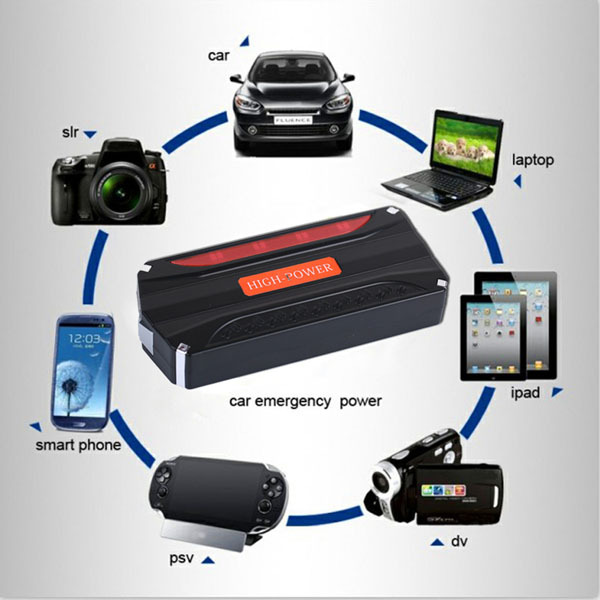 Switch button to “ON”,then Prees the round power buttoon,and go to your car to start. 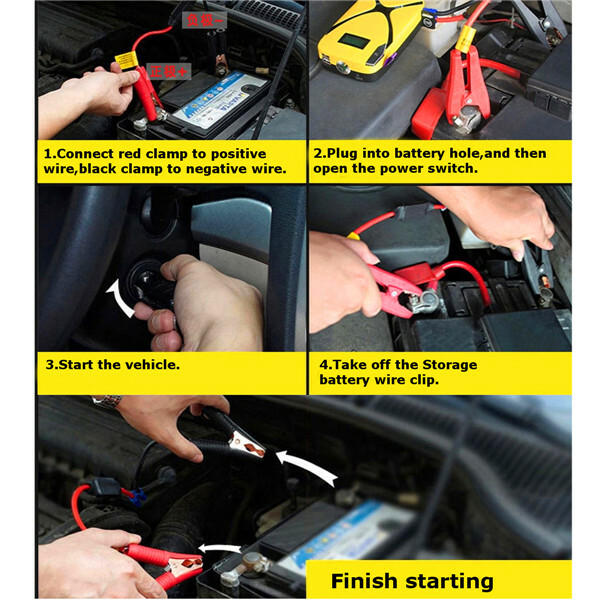 After start your car ,please take off the clamp in 30S. 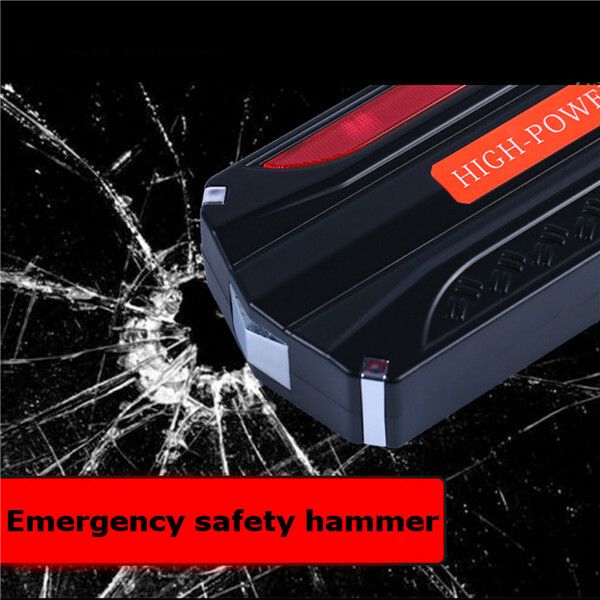 How to use our product’s high quality led light torch function? 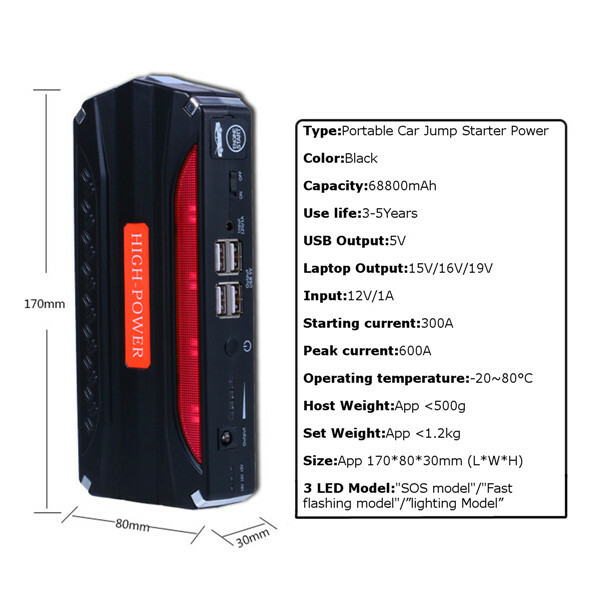 This jump starter have 3 LED light,brighter than 1 LED jump starter or 3 LED jump starter but only middle one have light. 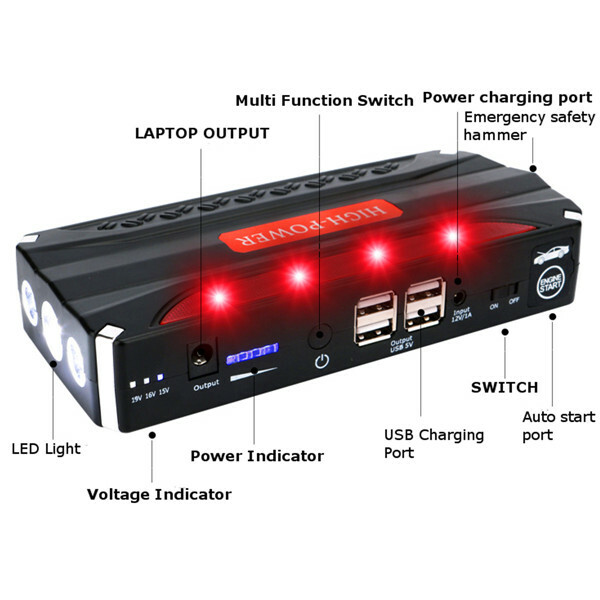 How to use our product’s red blink light function?